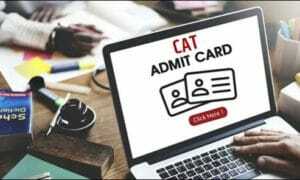 It's not just the burden of the new online system of examination that the CAT aspirants across the country will have to encounter during the upcoming test for admission to management institutes including the IIMs. They will also have to shell out some extra bucks in getting trained on the new systems. Coaching institutes are planning to pass on the extra cost incurred in installing new training system on to the aspirants. Depending on the city and brand, coaching fee for CAT ranges between INR 20,000 and INR 40,000, is expected to go up by at least 20-30% next year, say those in the business. While coaching centres will have to invest INR 30,000 – INR 40,000 per work station for IT and software infrastructure as soon as CAT committee announces the modalities, preparation cost may swell for candidates who would prefer to purchase computers for CAT preparation. Majority of the CAT coaching centres that have already enrolled students for CAT 2009 do not intend to revise fee structure this year. Also, they are waiting for competitors to take a lead on fee revision front. However, industry sources revealed that CAT coaching fees would go up considerably from next year. 'It's going to be an entirely new game for us now. We'll have to alter the way we operate and plan our batch smartly within limited investments,' said a CAT coaching class top official who is considering to revise fee structure upward this year.